Baaghi 2 trailer is released few day’s back. It’s a upcoming Indian action movie.The movie features Tiger shroff and Disha patani in lead roles. This is the sequel of Baaghi.Movie is schedule to release on 30th March 2018. It’s a remake of Telugu Film “kshanam”. So The movie is all about A Battle hardened army officer who has goes in search of his ex-lover’s child who is kidnapped mysteriously. Neha reachs out the only person she thinks that who can help her out with her plight, Ronnie. He goes deep into the underbelly of Goa, facing off against drug lords, menacing Russian henchmen, and blood thirsty animals. The movie contains chase sequences, bomb blasts, Daring stunts, and amazing action, air strikes all of the making it truly a spectacle. Movie has faced alot of trouble , as it’s a remake of the Telugu Film “kshanam”. The storyline and the plot of the movies are same; The heroine send a distressed call to the person who she believe can help her and rescue her daughter. The Director of “kshanam” really hope to have the credit for the sake of their writer’s as the source of material for the movie is taken from his movie. However, even though the basic plotline of both movies are same , But there appears to be not much similar in the setting ,Tone or execution of the movie. 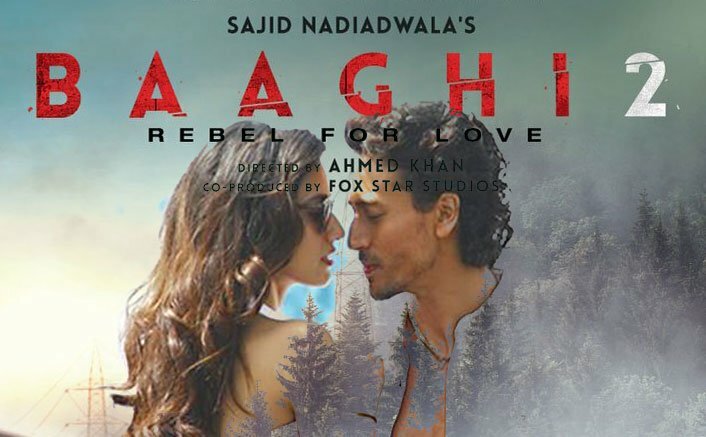 On 19 th March 2018 The sequel of this Movie was announced under the title of Baaghi -3 with Nadiadwala the producer, Ahmed khan, Director and stars Tiger shroff and Disha patani. They start shooting in December 2018.